The Diamond Fast-Neutron Monitor is designed for neutron flux monitoring in fusion reactor applications. High neutron flux rates are measured with the C2-HV Broadband Amplifier, while high-precision neutron spectroscopy is performed with the Cx-L Spectroscopic Amplifier. Both amplifiers allow the installation of a 10 m long detector cable between detector and amplifier, for operation in high-radiation environments. with integrated power supply and GUI, for real-time neutron spectroscopy in fusion reactors. Slim detectors with Ø12 mm for the insertion into confined spaces. Temperature resistant detector up to 500 K.
Vacuum compatible detector up to UHV. Full Diamond Fast-Neutron Monitoring System including ROSY® AX106 with integrated Neutron Spectroscopy Application for real-time neutron beam monitoring. Full Diamond Fast-Neutron Monitoring System including ROSY® AX106 with Neutron Spectroscopy Application and integrated HV and LV power supply, as autonomous, turn-key neutron monitoring system. The A3 Diamond Fast-Neutron Monitor is especially suited for d-t fusion reactor applications, where the 12C(n,α)9Be reaction is used to measure the neutron flux. 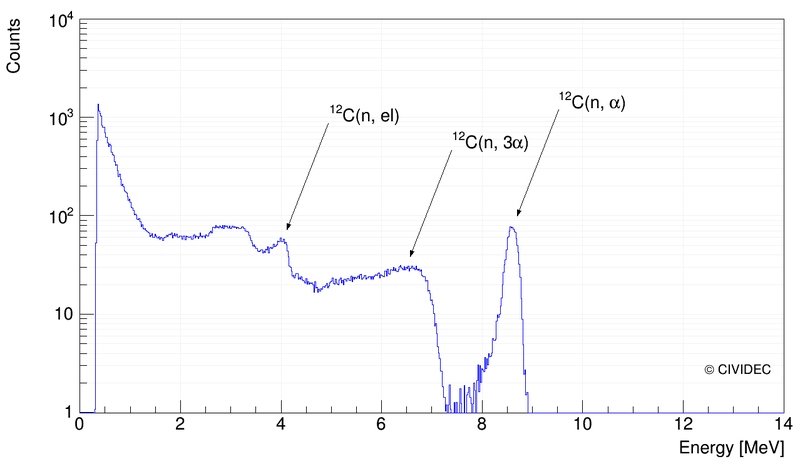 The spectrum of 14 MeV neutrons recorded with the Fast-Neutron Monitor, using the Cx-L Spectroscopic Amplifier is shown in the Figure. The characteristic structures of the detector response function can clearly be distinguished from each other. The separated peak of 12C(n,α)9Be is used for neutron flux monitoring in 14 MeV neutron beams. In d-d fusion plasma reactors the response function of the Diamond Fast-Neutron Detector is dominated by the elastic scattering of neutrons on the Carbon nuclei of the diamond sensor. The maximum deposited energy in the diamond sensor is well below 1 MeV. 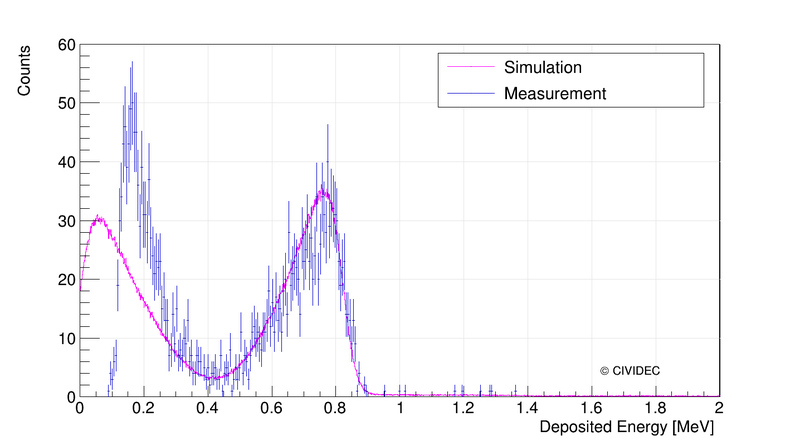 With the A3 Diamond Fast-Neutron Monitor and the ROSY® Neutron Spectroscopy Application the presented spectrum in blue was recorded with d-d fusion neutrons. The measurement is well in agreement with the Geant4 simulated spectrum. For the monitoring of the d-d neutron flux the high energy part of the spectrum is used, with a trigger level at 400 keV energy deposition in the diamond sensor.